Home » Coast to coast » Save the People’s Church! Brockton, Mass. 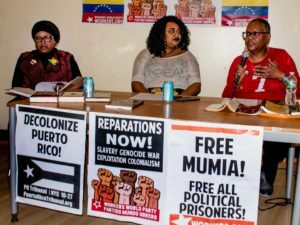 – A mobilizer’s meeting was held here on May 13 in to kick off the Campaign to Save Saint Martin de Porres Catholic Church of the Americas, the Peoples Church. The city of Brockton’s racist attack on the church takes place in the context of the tide of fascism and state aggression towards sanctuary spaces. This politically motivated aggression is targeting Bishop Filipe Teixeira, known affectionately as “Bishop T,” spiritual leader of the church and of the Cape Verdean Community. 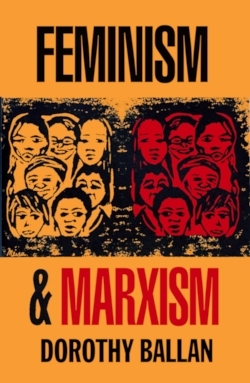 The Bishop has been a friend of Workers World Party for decades. The alliance has been a two-way street; members of WWP helped build his church from the ground up. 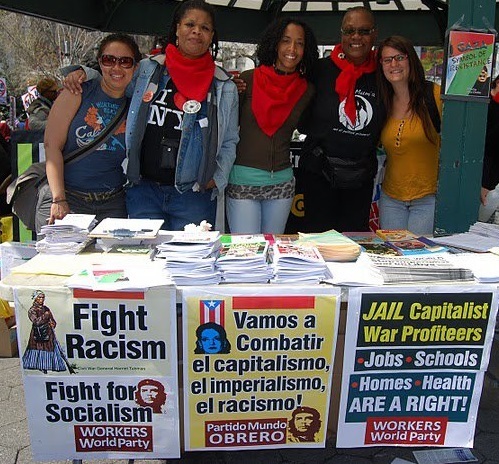 WWP’s Boston branch held a significant presence at the meeting. Veteran party members, young candidates, and friends of the party came in full force to plan further action. He has been a strong ally to every oppressed population he encounters. As a person of faith, Bishop T believes that having a moral compass means that it is wrong to be silent in the face of injustice. He sees his vocation as a compelling force. He has marched against expressions of racism, sexism, anti-LGBTQ bigotry, xenophobia, and the exploitation of workers on local and international levels. As someone who has been physically and emotionally attacked by systemic forces for decades, he is an example of courage in his handling of the latest barrage of state forces: an attempted closure and demolition of his church. The city’s mayor has expressed hostility towards the Bishop’s bold, public decision to protect undocumented immigrants in his church. He is non-negotiably in solidarity with Brockton’s immigrant communities. Brockton is not a sanctuary city. The survival of this sanctuary church is critical. Speakers at the meeting reflected the broad base of Bishop T’s support and alliances born of struggle. Andre Francois, President of USW 8751, Boston’s School Bus Drivers’ Union, lead a delegation of leaders that brought solidarity and pledged the resources of his majority-migrant union for the fight. Ruy Ley-Wild, of Cosecha and an organizer of May 1st, gave a struggle history of Saint Martin and vowed support. Teresa Gutierrez, representing the WWP Secretariat of WWP gave a moving tribute to Bishop T and promised 100 percent solidarity in action. Solidarity was strong as people bonded, ate, and listened to the Bishop and his congregants. Bishop T was clearly strengthened by the support he received, including a recent national call-in day to demand the city keep its hands of the church. 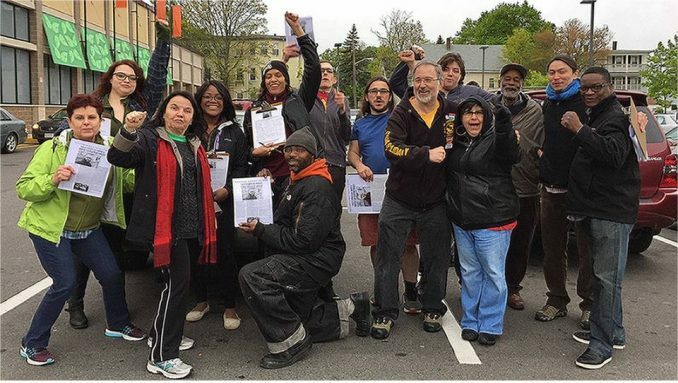 The event concluded with activists orchestrating a citywide canvass at local businesses. The supporters vowed to fight until the city retracts its push for demolition, and to not stop until Bishop T is exonerated and the church is saved!